In 2014, Jean Barman became the 21st recipient of the George Woodcock Lifetime Achievement Award for an outstanding literary career in British Columbia. In June of 2015 she received the Sir John A. MacDonald Prize in Ottawa for "French Canadians, Furs and Indigenous Women in the Making of the Pacific Northwest" as well as the Governor General Award for Scholarly Research for 2015 (to be received from the Governor General later in the year). Since her arrival in B.C. in 1971, Jean Barman has become one of the most essential writers of the province, contributing The West Beyond The West: A History of British Columbia (1991). As one of the few comprehensive, modern histories of the province, it has mostly replaced Margaret Ormsby's work as the standard text on the subject. In much of her work Barman has shown a predilection to examine the lives of women. Her biography of Constance Lindsay Skinner recalls the prolific journalist, born in B.C. in 1877, who managed to produce a wide range of poetry, plays, short stories, histories, reviews and children's novels. [See Skinner entry] Sojourning Sisters, for which she received the Lieutenant Governor's Medal for historical writing, recalls the lives of two Scottish Presbyterian sisters who came from Nova Scotia in the late 1880s to teach. Because one of the sisters subsequently lived primarily in Ontario, they wrote more than 500 letters about their 'sojourns' that included stints in the Nicola Valley, Kamloops, Campbell Creek, Salmon Arm, Rossland, the Kootenays, Saltspring Island and Victoria. Barman has also paid tribute to the working class family of Portuguese Joe Silvey and the half-Hawaiian matriarch Mariah Mahoi, followed by Stanley Park's Secret: Forgotten Families of Whoi Whoi, Kanaka Ranch, and Brockton Point (Harbour, 2005), a second volume that recovers the Hawaiian heritage of Canada's West Coast. It was co-winner of the 2006 City of Vancouver Book Award. [See press release below] BC 150 Years (Harbour 2008) was nominated for the BC Booksellers' Choice Award in Honour of Bill Duthie. More than one thousand Hawaiians made the crossing the Pacific Northwest coast to mainly work within the fur trade prior to the formal annexation of the Hawaiian Islands by the United States in 1898, some making the sojourn more than once. Barman and Bruce McIntyre Watson of Vancouver rendered a comprehensive study and catalogue of Hawaiians and Polynesians in the Pacific Northwest in Leaving Paradise: Indigenous Hawaiians in the Pacific Northwest, 1787-1898. Among the immigrants was the unordained Christian missionary William Kaulehelehe, sent by his Hawaiian king in the 1840s to serve as "Chaplain to the Hawaiians in the Columbia. "; His "Owhyhee Church"; was torn down about 15 years later. The pious teacher was disheartened to discover he was mostly needed to arbitrate disputes among the Kanakas, many of whom preferred to work or drink on the Sabbath. "The Hawaiians have repeatedly and daily asked me to see about their trouble of being repeatedly abused by the white people without just cause,"; he wrote. In 1862, Kaulehelehe came to Fort Victoria where he worked as a Hudson's Bay Company clerk and translator. He and his wife lived on Humboldt Street, an area known as Kanaka Row. He was buried in Ross Bay Cemetery in 1874. Hardly anyone realizes it, and nobody has made it public knowledge, but for half-a-century French Canadians were the largest group of newcomers west of the Rockies. Ironically, in a place later to be called British Columbia, it was mainly francophones who facilitated the early overland crossings into the Pacific Northwest. It was francophones who chiefly drove the fur economy, initiating non-wholly-indigenous agricultural settlement and easing relations with indigenous peoples. The largely unsung work of these men--often in league with Scots--ensured that, when the region was divided in 1846, the northern half would go to Britain, giving Canada its Pacific shoreline. In Jean Barman's ground-breaking French Canadians, Furs, and Indigenous Women in the Making of the Pacific Northwest (UBC Press 2014), she rewrites the history of the Pacific Northwest from the perspective of these little-known French Canadians, emphasizing the role that indigenous women played in encouraging them to stay, and identifying their descendants. When French Canadian fur trappers reached the Pacific Northwest Coast during the 1790s through to the 1840s, their population grew to approximately 1,240, thereby constituting the largest group of newcomers to the region. Jean Barman argues that they changed the face of this history in five important ways: they were responsible for the early overland crossings; they drove the fur economy; they were the first non-indigenous people in the area to farm; they eased relations with the indigenous peoples; and, perhaps most significantly, they contributed to the 1846 division of the Pacific Northwest, giving Canada its Pacific shoreline. A UBC historian in the Department of Educational Studies, Jean Barman was born in Stephen, Minnesota. In keeping with her position in the Education department at UBC, her first book about B.C. was Growing Up British in British Columbia: Boys in Private School. She also co-edited Vancouver Past: Essays in Social History with UBC history professor Robert A.J. McDonald; Indian Education in Canada, with Don McCaskill and Yvonne Hebert; and First Nations Education in Canada: The Circle Unfolds, with Marie Battiste, a member of the Mi'kmaq Nation. Active in the B.C. Heritage Trust and other historical organizations, she has been a catalyst for countless literary and historical projects by others, adding both intellectual input and generous advice. With Linda Hale she co-produced a 1991 bibliography of B.C. 's local history books for B.C. Heritage Trust which included 800 communities. Jean Barman was inducted as a Fellow of the Royal Society of Canada in 2002, in recognition for her prolific work in Canadian history, particularly in the history of the West. She is married to historian Roderick Barman. They live in Vancouver. Good Intentions Gone Awry: Emma Crosby and the Methodist Mission on the Northwest Coast (UBC Press, 2006), with Jan Hare. Leaving Paradise: Indigenous Hawaiians in the Pacific Northwest, 1787-1898 (University of Hawaii Press, 2006). Edited with Neil Sutherland and Linda Hale, Contemporary Canadian Childhood and Youth: A Bibliography and History of Canadian Childhood and Youth: A Bibliography. Westport, CT: Greenwood Press, 1992. With Linda Hale, British Columbia Local Histories: A Bibliography. Victoria: British Columbia Heritage Trust, 1991. History of British Columbia. Richmond: Open University, 1991, revised 1997, Materials for second-year university credit course, HIST 225, consisting of course manual, 15 lesson units, chronology, photo album, map file, additional readings and assignments. Edited with Robert A.J. McDonald and Jill Wade, Readings in the History of British Columbia. Burnaby: Open Learning Agency, 1989; 1997. Edited with Yvonne Hébert and Don McCaskill, Indian Education in Canada. Vol l: The Legacy and vol. 2: The Challenge. Vancouver: UBC Press, 1986 and 1987. Edited with R.A.J. McDonald, Vancouver Past: Essays in Social History. Vancouver: UBC Press, 1986. Growing Up British in British Columbia: Boys in Private School. Vancouver: UBC Press, 1984. Fellow of the Royal Society of Canada, elected 2002. Editorial board, Canadian Historical Association, Journal, 2002-05. [Alan Twigg / BCBW 2016] "History of B.C." "Women" "Hawaiian" "Stanley Park"
Next time you stroll or cycle near the totem poles at Brockton Point, keep an eye out for a lone lilac beside the Stanley Park shoreline. Spare a thought for Martha Smith, the young bride just out of residential school who planted the shrub at her new home more than 100 years ago. Martha Smith's home has been long-forgotten until the release of Jean Barman's Stanley Park's Secret: The Forgotten Families of Whoi Whoi, Kanaka Ranch and Brockton Point (Harbour $36.95), a "pre-history"; of one of North America's most famous parks. The area now known as Stanley Park was inhabited for thousands of years, and logged extensively, before the Dominion government created Stanley Park with the stroke of a pen in 1888. Barman has skillfully retrieved the collective history of the First Nations and hybrid families who were evicted from their homes by government officialdom. It took until 1958 for the last member of these many families to be forced out. It took another 46 years for their collective story to be told. Two years ago I invited Jean Barman to be a guest on Almanac to learn more about the pioneer Joe Silvey, central character in her book, The Remarkable Adventures of Portuguese Joe Silvey. Among other subjects, we discussed how Silvey and his Aboriginal wife Kwahama Kwatleematt had lived with the Squamish people in Stanley Park. "People remember Gassy Jack Dayton,"; Barman told me, "in part, because he was British and English and more like us, whereas Portuguese Joe was a fisherman. He was from Portugal and lived on the edge of the water in the peninsula that would become Stanley Park. "; Afterwards, Barman received a telephone call from a listener whose family had also lived in the park. This led to a meeting between Barman and the caller's mother, Olive O'Connor, a resident of the Fraser Valley. "She worked very hard during a wonderful afternoon,"; Barman says, "to persuade me to write about the families in Stanley Park. She was descended from the families that lived at Kanaka Ranch, just outside today's park at the foot of Denman Street. "; Drawing on family stories, numerous photographs, notes from Vancouver's first archivist Major J.S. Matthews, and various court documents, Barman proceeded to cast light on the communities that disappeared into the park's shadows. The courts eventually pushed everyone out. It was a drawn-out process. In 1923, for example, the City of Vancouver launched a suit against Mariah Kulkalem and eight heads of remaining families at Brockton Point, demanding they prove they had title to the land. This step was taken to enable the government to evict the families without providing any compensation for the loss of their homes. The trial of 1923 was well-covered in the newspapers. Thomas Abraham gave his testimony in "a Squamish dialect"; and reportedly stamped his umbrella stick on the floor of the witness box to make his point. His picture appeared under a headline, "So Old He Forgets When He Was Born. "; But the decision against the alleged "squatters"; was a foregone conclusion. Barman has gained a firm grasp of the prejudices that were entailed, and she has documented the injustices, but her book concentrates on celebrating individuals such as August Jack Khatsahlano, William Nahanee (who shared his family history with Major Matthews), the Gonsalves family, Tim Cummings (the final resident of Stanley Park) and their descendants such as Rose Cole Yelton. Martha Smith's Brockton Point lilac will still push out blossoms this spring. -- review by Mark Forsythe, host of Almanac on CBC radio. The first Hawaiian to reach British Columbia was Winee, the personal servant of 18-year-old Frances Barkley, usually credited as the first European woman to see the West Coast of Canada. Winee and Frances Barkley arrived at Nootka Sound in 1787 on the Imperial Eagle under the command of Captain Charles Barkley. The Kanaka Bar Tunnel in the Fraser Canyon attests to the existence of Hawaiian workers who settled at Kanaka Creek, behind Fort Langley. Newcastle Island off Nanaimo has a Kanaka Bay. The Empress Hotel in Victoria is situated on the ruins of a shantytown that was called Kanaka Row. A few Hawaiian families lived at the "Kanaka Ranch"; at the foot of Denman Street in Vancouver, site of the Bayshore Inn. Sawmill workers in North Vancouver lived at Moodyville's Kanaka Row, the second-largest Hawaiian settlement in B.C. after Salt Spring Island. Ganges on Salt Spring has a Kanaka Road. In 1995, Salt Spring Islander Tom Koppel published Kanaka: The Untold Story of Hawaiian Pioneers in British Columbia and the Pacific Northwest (Whitecap). B.C. 's most active historian, Jean Barman, has now prepared a family portrait of the half-Hawaiian matron Maria Mahoi, born outside of Victoria, around 1857, probably in Esquimalt. She had an Hawaiian father and an unknown mother who is thought to have died in childbirth. Maria (pronounced Mariah) had 13 children by various 'newcomer men' while living mainly on Salt Spring and nearby Russell Island (off Fulford Harbour). She died in the late 1930s. Mahoi's turn-of-the-century home is a pivot point for a new Gulf Islands National Park. Parks Canada sponsored a reunion of her descendants last August. Barman talked to Mahoi's kin and produced a manuscript for New Star Books that will soon appear within its Transmontanus series, edited by Terry Glavin. Heritage trustee Jean Barman has spent so much time helping other people's projects, it's a wonder she has produced 13 books of her own since 1984-including the most widely used history of the province, The West Beyond the West: A History of British Columbia. Now she's going from macro to micro with two new books about so-called ordinary people, two non-Anglo pioneers in the late 1800s and early 1900s. The Remarkable Adventures of Portuguese Joe Silvey (Harbour $17.95) recaptures the life and times of one of British Columbia's first businessmen, Joe Silvey, aka Joe Gonsalves, an illiterate fisherman and whaler who jumped ship to become a saloon keeper, fishing community patriarch and possibly Canada's first officially accepted Portuguese Canadian citizen. Maria Mahoi of the Islands (New Star $16) recalls Maria Mahoi, born outside of Victoria, probably in Esquimalt, around 1855, of a Hawaiian father and an unknown mother who is thought to have died in childbirth. Mahoi had 13 children by two 'newcomer men', including a Scottish-born sea captain, while living mainly on Saltspring Island and nearby Russell Island. The lives of Silvey and Mahoi intersected in the Gulf Islands in the late 1860s. For the Mahoi book, Barman began her research after a descendent asked to find out his heritage. She later attended a family reunion in August of 2002 when Mahoi's turn-of-the-century home on Russell Island became a focal point for a new Gulf Islands National Park. For the Silvey book, Barman's interest was also sparked by descendants. Two of his great-great-great-grandsons contacted her after she was heard discussing Portuguese Joe on CBC's Afternoon Show with host Mark Forsythe. Without Anglo connections, entrepreneurs such as Joe Silvey were proudly different from the dominant Brits of British Columbia. They intermarried with First Nations women to create separate worlds from the dominant British sensibilities. Born in the 1830s, Silvey was raised on Pico, one of nine Azores Islands controlled by Portugal off the coast of Africa. The Azoreans were mostly sailors, fishermen and Catholics. Family lore has it that Silvey had blue eyes, a legacy from a Scottish grandfather who was possibly involved in whaling from the Eastern U.S.
At age 12, Joe Silvey left the Azores on a whaling expedition, never to return, because the island's main food crop had been decimated by potato blight and a grape disease reduced wine production. Around the time the whaling industry went into decline, he and several other Portuguese crew members jumped ship, in San Francisco or Fort Victoria. Silvey and his companions were likely among the goldseekers who headed up the Fraser River in 1858, just as British Columbia was becoming a separate British colony from Vancouver Island. Silvey turned his hand to fishing, living on Galiano Island and on Burrard Inlet, before he opted for local whaling, primarily for the extraction of oil. To do so, Silvey hooked up with Abel Douglas, a Scot from Maine, who was married to a beautiful half-Hawaiian-Maria Mahoi. Around 1871, with oil prices dropping and two children to feed, Silvey followed the example of Gassy Jack Deighton in Gastown, operating the Hole-in-the-Wall saloon and buying property at the corner of Water and Abbott streets for $100. Recollections of this period in The Remarkable Adventures are mostly from Silvey's eldest daughter Elizabeth Silvey, who retained vivid memories of potlatch ceremonies and her Capilano relatives from her early childhood. These stories were gleaned by Vancouver archivist Major J.S. Matthews when he conducted interviews with Elizabeth between 1938 and 1943. Devastated by the sudden death of his wife, Portuguese Joe took his two young daughters to live at Brockton Point, at Deadman's Island, then a remote area. [Barman's original interest in Silvey was sparked by her research for a forthcoming book to be called Stanley Park Secrets: The Forgotten Families of Whoi Whoi, Kanaka Ranch, and Brockton Point.] An Oblate priest married Silvey to Kwahama Kwatleematt, age 15, of the Sechelt band, in 1872. Known as Lucy, she could read and write-unusual skills for a young Native woman. Next, Portuguees Joe pioneered seine boat fishing in B.C., teaching Native women to knit nets at Brockton Point and pre-empting 160 acres on Reid Island, northwest of Galiano Island in 1881. Eleven of his children survived. With both aboriginal and Portuguese values, the Silvey family was routinely multilingual, speaking English, Portuguese, the local Cowichan language and the Chinook trading lingo. Silvey's enclave at Reid Island attracted sealing schooners and wintering fishermen until his death in 1902, at approximately 66 years of age. The daughters of his first wife, Khaltinaht, splintered off, whereas Lucy Silvey remained on the island until her death in 1934. Barman traces Silvey's many descendants to the present day. Portuguese Joe also lived at Irvine's Landing, at Pender Harbour. The BC Archives lists the death of Joseph Gonsalves, 82, in 1939 in Vancouver. Maria (pronounced Mariah) Mahoi died in the late 1930s. The title Maria Mahoi of the Islands refers to her roots in both the Hawaiian and Gulf Islands. As a prominent matriarch on Saltspring, Mahoi could trace her roots to the 'Kanakas,' Hawaiian-born labourers brought to B.C. by the Hudson's Bay Company prior to Confederation. Hawaiian families once lived at the "Kanaka Ranch"; at the foot of Denman Street in Vancouver, where the Bayshore Inn now stands, on Saltspring Island and at North Van's Moodyville. The Empress Hotel in Victoria is situated on the ruins of a shantytown called Kanaka Row. Saltspring Islander Tom Koppel has published Kanaka: The Untold Story of Hawaiian Pioneers in British Columbia and the Pacific Northwest (Whitecap, 1995) and Susan Dobbie's first novel When Eagles Call (Ronsdale, 2003) is about a young Hawaiian native named Kimo who signs up for duty with the Hudson's Bay Company in the 19th century, even eventually marrying a half-Kwantlen and half-French-Canadian woman. 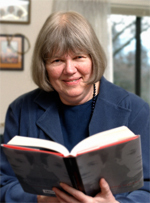 A UBC historian in the Department of Educational Studies, Jean Barman was born in Stephen, Minnesota. In addition to her biography and history titles, she collaborated with Linda Hale for a 1991 bibliography of B.C. local histories, updated recently by Brenda Peterson. For the second time in its 18-year history, two publications have been chosen as co-winners of the City of Vancouver Book Award. Jean Barman's Stanley Park's Secret (Harbour Publishing) and James Delgado's Waterfront (Stanton Atkins & Dosil) were both cited for excellence in their quality of research and craftsmanship of design. Mayor Sam Sullivan presented the award to Barman and Mark Stanton (Delgado's publisher) during a Vancouver City Council meeting on Tuesday afternoon. Barman and Delgado will split the $2,000 prize. An independent jury was impressed by Barman's thorough research and convincingly delivered analysis in Stanley Park's Secret, which uncovers a suppressed history of the First Nations and Kanakan occupation of Stanley Park. The jury found Waterfront to be an elegantly illustrated book which provides a comprehensive history of local maritime history, geography, industry and culture. Barman is an historian in the Department of Educational Studies at the University of B.C. and a Fellow of the Royal Society of Canada. Delgado is the Executive Director of the Institute of Nautical Archaeology, and for 15 years was the Director of the Vancouver Maritime Museum. The City of Vancouver Book Award is presented annually to authors of books in any genre that demonstrate excellence and enhance our understanding of Vancouver's rich history and culture. The independent jury who chose the winners and the four shortlisted titles included bookseller Rod Clarke; University of B.C. English professor Glenn Deer; and Laurie Roggeman, former president of the Friends of the Vancouver Public Library. The other finalists for this year's award were: Derek Hayes for Historical Atlas of Vancouver and the Lower Fraser Valley (Douglas & McIntyre) and Abraham J. Rogatnick, Ian M. Thom, and Adele Weder for B.C. Binning (Douglas & McIntyre). As the wife of the intrepid preacher Thomas Crosby, Emma Crosby opened the Crosby Girls' Home in 1879 in Fort Simpson to ostensibly rescue Aboriginal girls from liquor and prostitution. There is little evidence that her famous husband was much-concerned by her sacrifices-or that she expected him to be. Jean Barman's sixth and seventh titles since 2002 are Good Intentions Gone Awry: Emma Crosby and the Methodist Mission on the Northwest Coast (UBC Press $85), co-authored with Jan Hare, and Leaving Paradise: Indigenous Hawaiians in the Pacific Northwest, 1787-1898 (University of Hawaii Press $45 U.S.), co-authored with Bruce McIntyre Watson. The latter provides an exhaustive directory of individual Hawaiian-born pioneers and labourers on the West Coast from 1787 to 1898, the year the Hawaiian Islands were annexed to the United States. It is based on archival work in British Columbia, Oregon, California, and Hawaii. Among the more noteworthy immigrants from Hawaii, previously known as the Sandwich Islands, was William Kaulehelehe, the unordained Christian missionary sent by his Hawaiian king in the 1840s to serve as "Chaplain to the Hawaiians in the Columbia. "; His "Owhyhee Church"; was torn down about 15 years later. Kaulehelehe was an unrealistically pious teacher who was disheartened to discover he was mostly needed to arbitrate disputes among the Kanakas, many of whom preferred to work or drink on the Sabbath. In 1862, Kaulehelehe came to Fort Victoria where he worked as a Hudson's Bay Company clerk and translator. He was buried in Ross Bay Cemetery in 1874. "The Hawaiians have repeatedly and daily asked me to see about their trouble of being repeatedly abused by the white people without just cause,"; he once wrote. Since her arrival from the U.S. in the early 1970s with her husband Roderick Barman (an historian who specializes in the history of Brazil), Jean Barman has been on a mission to come to a deeper understand of how and why B.C. is unique. Here Mark Forsythe responds to her latest book. When the provincial government commissioned its sesquicentennial book, British Columbia: Spirit of the People (Harbour Publishing $49.95), publisher Howard White wasn't sure if Jean Barman would accept the job of writing the text, worrying it might be beneath her. "I approached her timidly,"; he recalls, "but Jean surprised me. She loved the idea of a coffee-table book instead of a dense tome. "; And so the task of cramming 150 years of history into only 25,000 words fell to the UBC-based author of The West Beyond the West, the province's most widely-read history of itself. Writing British Columbia: Spirit of the People also turned into a highly unusual experience for Barman for an unforeseen reason: Premier Gordon Campbell vetted the work. The original layout had the book starting in Vancouver. Campbell suggested it would be too predictable to start with Vancouver. He successfully argued the north of the province should not be placed at the tail end of the book-so that's where Spirit of the People begins. The premier also insisted more play be given to Surrey, now the province's second-largest city. If White and Barman ever resented Campbell's micro-management, they're not saying, because they came to realize his instincts were good. White will admit, however, that he found it easier to deal with the premier than some of the bureaucrats who advised on various themes. When Barman visited CBC's BC Almanac during the launch of British Columbia: Spirit of the People, she responded to a variety of topics. Since I first met Jean Barman more than a dozen years ago, I've come to appreciate how much her writing brings us stories of forgotten British Columbians. Her books such as Maria Mahoi of the Islands, Stanley Park Secrets and The Remarkable Adventures of Portuguese Joe Silvey have all expressed her desire to understand our province's evolution from multiple points of view. And Barman's powers of persuasion have been very influential for decades. She has prompted enough writing and history projects from others-myself included-to fill a book shelf. -review by Mark Forsythe is the host of CBC's BC Almanac. Royal Society of Canada Fellow, elected 2002. Activism, Culture. Vancouver: UBC Press, 2010. 2007, rev. 1996, orig. 1991. Coast. Vancouver: UBC Press, 2006. With Bruce Watson, Leaving Paradise: Indigenous Hawaiians in the Pacific Northwest, 1787-1898. Honolulu: University of Hawai'i Press, 2006. Stanley Park's Secret: The Forgotten Families of Whoi Whoi, Kanaka Ranch, and Brockton Point. Madeira Park, BC: Harbour, 2005. Maria Mahoi of the Islands. Vancouver: New Star, 2004. Edited with Mona Gleason, Children, Teachers and Schools in the History of British Columbia. 2nd ed. Calgary: Detselig, 2003. 1st co-edited with Neil Sutherland and J.D. Wilson, 1995. Constance Lindsay Skinner: Writing on the Frontier. Toronto: University of Toronto Press, 2002.
and History of Canadian Childhood and Youth: A Bibliography. Westport, CT: Greenwood, 1992. With Linda Hale, British Columbia Local Histories: A Bibliography. Victoria: BC Heritage Trust, 1991.
album, map file, additional readings and assignments. vol. 2: The Challenge. Vancouver: UBC Press, 1986 and 1987.
of Jim Miller (University of Toronto Press). Western Canada,"; under consideration for publication. 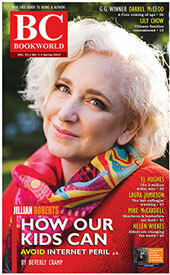 Columbian Quarterly 117 (Spring 2013): 39-64. St-Onge, Carolyn Podruchny, and Brenda Macdougall (Norman: University of Oklahoma Press, 2012). Society of British Columbia, 2011). British Columbia,"; in Tracey Banivauna-Mar and Penelope Edmonds, ed., Making Space: Settler-Colonial Perspectives on Land, Place and Identity. London: Palgrave Macmillan, 2010), 155-73. Huhndorf, and Jean Barman, ed., Indigenous Women and Feminism: Politics, Activism, Culture. "Taking Local History Seriously,"; BC Studies 165 (Spring 2010): 101-06. Columbian Quarterly 161 (Spring 2009), 59-91. Spirit of the People of the Pacific Northwest (Vancouver: Ronsdale, 2008). American Wests. Calgary: University of Calgary Press, 2008. "Preface,"; Brandy Liên Worrall, ed, Finding Memories, Tracing Routes: Chinese Canadian Family Stories. Columbia, 2007), i-xii, and English edition (Vancouver: Chinese Canadian Historical Society, British Columbia, 2006), i-vi. Windsor Yearbook of Access to Justice 26, 1 (2006), 3-22. "A British Columbian View of Regions,"; Acadiensis 35, 2 (Spring 2006), 144-56. Euro-Canadian and Aboriginal Relations in Colonial Canadas. Vancouver: UBC Press, 2006.
rush,"; 205-27 in Myra Rutherdale and Katie Pickles, ed., Contact Zones: Aboriginal and Settler Women in Canada's Colonial Past. Vancouver: UBC Press, 2005. "Introduction,"; Constance Lindsay Skinner, Birthright. Toronto: Playwrights Canada Press, 2005. Greatest British Columbians (Madeira Park: Harbour, 2005), 79-81. 1943,"; Historical Studies in Education 17, 2 (Fall 2005): 337-61. "Introduction,"; Douglas Hamilton, Sobering Dilemma: A History of Liquor Prohibition in British Columbia. Century British Columbia Schools,"; Historical Studies in Education 16, 1 (Spring 2004): 85-104. "Biographies in the Teaching of History,"; Canadian Issues, Autumn 2003: 5-10. Columbia's Okanagan Valley,"; British Journal of Canadian Studies 16: 1 (2003): 137-49. British Columbian Quarterly 137 (Spring 2003), 47-61. Canadian History of Education (University of Toronto: University of Toronto Press, 2012), 255-76. Gleason, ed., Children, Teachers and Schools, above. Columbia,"; 13-35 in Barman and Gleason, ed., Children, Teachers and Schools, above. "Seeing British Columbia," BC Studies: The British Columbian Quarterly 131 (Fall 2001), 9-14. 2000, 331-42. Also available on KnowBC website. Arsenal Pulp Press, 2000), 168-72. News 34, 1 (Winter 2000/2001), 6-12. ed., Visions of the Heart: Canadian Aboriginal Issues. 2nd ed. Toronto: Harcourt Canada, 2000. "Family Life at Fort Langley,"; British Columbia Historical News 32, 4 (Fall 1999), 16-23. With Bruce Watson. "Fort Colville's Fur Trade Families and the Dynamics of Aboriginal Racial Intermixture in the Pacific Northwest,"; Pacific Northwest Quarterly 90, 3 (Summer 1999), 140-53. Nineteenth Century,"; 73-89 in Edgar-Andre Montigny and Lori Chambers, ed., Family Matters: Papers in Post-Confederation Canadian Family History. Toronto: Canadian Scholars' Press, 1998. "Lost Okanagan: In Search of the First Settler Families,"; Okanagan History 60 (1996), 8-20. David Alan Long and Olive Patricia Dickason, ed., Visions of the Heart: Canadian Aboriginal Issues. Toronto: Harcourt, Brace, 1996. Reprinted in J.M. Bumsted and Lent Kuffert, ed., Interpreting Canada's Past: A Post-Confederation Reader, 3rd ed. (Toronto: Oxford University Press, 2004). Behaviour," 97-141 in McDonald and Barman, ed., Vancouver Past above. Earlier articles and book chapters available on request. As part of the very prestigious George Woodcock Lifetime Achievement Award, for which I am very grateful, I was asked to read from my upcoming book, French Canadians, Furs, and Indigenous Women in the Making of the Pacific Northwest (for details, see book list at the end of this talk). I will do so in a bit, but I first want to acknowledge some of those who have given support over the years. First and foremost is my family. We arrived here on my husband Roderick Barman, who is a historian of Latin America and more specifically Brazil, accepting an academic position at the University of British Columbia, and have never regretted the decision. The success of The West beyond the West was in no way mine alone, just as it is with any book we write. By virtue of its publication by University of Toronto Press, British Columbia as a province was integrated historically into the national fabric. The West beyond the West's more provincially oriented counterpart, British Columbia: The Spirit of the People, for which I was invited to write the text, was spearheaded by then premier Gordon Campbell, with the support of Harbour publisher Howard White, for the 150th anniversary of the British Columbia mainland becoming a British colony in 1858. I thank them both. As with these two general histories, my name may be on the cover but I am only one small part of a much larger process. Taking a chance on me as an author, along with University of Toronto Press and Harbour Publishing, each three times over, have been UBC Press also three times including the forthcoming French Canadians, Furs, and Indigenous Women, New Star, and University of Hawai'i Press. These five publishers have enormously facilitated - indeed made possible -- my writing life, and I thank them, just as I do UBC Press and several others for the ten books which I have co-edited over the years. We are who we are as writers and editors only because of the hard work that goes on behind the scenes with far too little recognition. Every book we write belongs to many others as well as to ourselves, and I have accumulated obligations differently in respect to three kinds of books I have written. Three books began with a trace created by a person of potential interest, in other words in the "selfies"; of the day. Three others originated in descendants' stories. The third kind of book, as with the British Columbia histories and the upcoming French Canadian book, is synthetic. It is my reconstruction of past events drawing on the sources at hand. One of the three selfies projects interrogated a forgotten British Columbia writer, so I explain in the book's introduction: "Given the silence in Canada, it is not surprising that Constance Lindsay Skinner entered my life through a side door. I did not search her out, nor would I have reason for doing so, not being a literary scholar. Her Red Willows sat on a shelf in the University of British Columbia Library next to a book I came to find. Intrigued by the title, I had a look. A puzzle formed in my mind as I scanned the pages. How was it that a novel, published in New York at the end of the roaring twenties, had a British Columbian setting and, moreover, considerable understanding of its subject matter, yet someone like myself who read widely on British Columbia had never heard of the author? Neither had colleagues to whom I proffered her name. I could not find her in any of the Canadian biographical dictionaries or literary histories that I checked over the next several months. It was only on... chatting at a summer garden party with Carole Gerson of Simon Fraser University, expert on the history of Canadian literature with emphasis on women writers, that I got my first clue. Carole said she had heard of some papers in the New York Public Library. My curiosity awakened, a year later I read through them. Connie Skinner's story, it turns out, is sadly commonplace. Descended from one of British Columbia's earliest newcomer families, she grew up in privilege as is evident from the family home on Robson Street, but even then could not survive as a writer. Hence came the move to New York City, where she realized her dream by evoking British Columbia in mild disguise as the United States. This evening I thank Constance Lindsay Skinner for her persistence, the UBC Library and Carole Gerson for leading me to her, the American publishers that considered it worthwhile for her to be part of their lists, and the friend who gathered up her papers on her sudden death to lodge them in the nearby New York Public Library. With two sisters who also left me a trace in another version of the selfies of the present day, it was not as with Connie Skinner a matter of their departing British Columbia to make their careers, but the reverse. Jessie and Annie McQueen were teachers in Pictou County, Nova Scotia, earning $50 a term when they learned that in the far west they would get $50 a month. And so, in order to assist the family economy as was expected of unmarried daughters of the day, they hopped on the just completed Canadian Pacific Railway. Their mother was still very much in charge of their lives, to whom they thereupon wrote long letters describing every aspect of their new lives. I did a lot of fast and, in retrospect, persuasive talking about changing times and the worth of women's lives in their entirety, after half an hour or so of which she said I had decided her to bring the letters to the BC Archives the next morning. To my great relief, not only did she do so, but on condition they would photocopy them for me free of charge. I remain tremendously grateful for her decision, just as I do to the sisters for writing in the first place. "Two strong women have lived with me for a long time. They're hung around the house, woken me up in the middle of the night, become real nuisances. Tell our story, they say. Parts of it I have already done [in draft], but they are not satisfied. Write it all down, they say, so we can be on our way. The time has come, they prod me, and so I do so here. A second book drawing on letters had a very different impetus. I got a phone call one day from a woman I did not know explaining how her mother was determined that her grandmother's letters should be put in print just as they were written and needed someone reliable who would promise to do so. Those of you who know Louise Hagar, who long ran the bookstore Women in Print and still does so online, will know how persuasive she can be. Once I realized that Louise's great-grandmother was Emma Crosby, whose husband Thomas Crosby was the well known early Methodist missionary on the north coast, I was intrigued, even more so on consulting with a doctoral student of mine, Jan Hare, who now teaches at UBC, as to whether she was also interested in the project. I am white and Jan is Anishnaabe, which would give us a tempered perspective on a potentially difficult topic. Jan and I thank Helen and Louise Hagar for letting us into the life of their grandmother and great-grandmother respectively, Emma for writing the letters, her mother for holding on to them, and Caroline Dudoward, descended from the Tsimshian family that nurtured the Crosbys, for generously writing a postscript to the book. Three other books in which I also interrogate the enigma that is British Columbia had very different origins. They did not originate with a trace, but rather with descendants' stories. The impetus to Maria Mahoi of the Islands was then provincial minister Mel Couvelier, who I thank for wondering out loud to me at a government event whether academics were ever willing to do something useful and explained how he had once been told there was, to quote him, "Indian blood"; in the family that was never to be mentioned and wanted to know if it was true. He later sent me the single piece of information he had, which was an uncle's obituary, and it was this that led me to his great-great grandmother Maria Mahoi, born on Vancouver Island in about 1855 to an Hawaiian employed in the fur trade and a local indigenous woman, and to her daughter Ruby, who on leaving residential school was married off to a Belgian named Cuvelier who she soon abandoned along with her indigenous inheritance by escaping to Vancouver. "The events going on around Maria Mahoi during her lifetime in no way depended on her for their happening. The gold rush of 1858, British Columbia's entry into the Canadian Confederation in 1871, the arrival of the transcontinental railroad in 1886, population explosion and the rise of Vancouver--they would have occurred just as surely had Maria never been born. Using accepted bases for recognition, Maria had no accomplishments. She held no office, participated in no organized activities, wrote nothing, indeed was illiterate. She had what most of us would consider a hard life....Her death in 1936 went unnoticed. Whatever the measure, Maria Mahoi was very ordinary. Descendants' taking back the past has never been more in evidence than respecting Joe Silvey, a Portuguese immigrant arrived with the gold rush. It was Mark Forsythe's midday BC Almanac on CBC radio, on which I have been a sometimes contributor, that brought us together. One day the topic was Vancouver's original location of Gastown, and more particularly Gassy Jack's saloon on Water Street. To make some point which I have now forgotten, I mentioned how Gassy Jack as an Englishman became part of Vancouver lore to the extent of having his own large statue, which I am sure we have all seen, whereas Portuguese Joe Silvey who ran a saloon at the other end of the block was completely forgotten. But Portuguese Joe had not been forgotten. Two weeks later I received a letter forwarded from CBC written by their teacher on behalf of two small boys who had listened to the show during the lunch hour and drawn this picture for me. Their last name was Silvey and they had never before heard anyone on the radio talking about their family, and wanted to know more. It was this request that with the help and support of descendants became the book. But that is only the first half of the story. Not only have there been two television documentaries about Portuguese Joe's life, one originating with the much larger Portuguese community in Toronto, the other with Portuguese state television, but Portuguese Joe is being returned to Stanley Park where the family once made their home. A large sculpture depicting him and his Squamish and Musqueam wife Khaltinaht and on her death his Sechelt wife Kwatleematt has been carved by well-known artist and Silvey descendant Luke Marston and is in the process of being erected at Brockton Point site where the family once lived. Much the same sequence of events unfolded with Stanley Park's Secret. The impetus was once again BC Almanac. This time I was talking about the various stories I had been told about once living in Stanley Park, which I discounted on finding nothing about it in Vancouver Park Board minutes. I was, in other words, behaving like a traditional historian by relying a paper trail. My easy assumption was thereupon upended. Shortly after I left the studio, CBC got a call asking me to contact the individual. It turned out to be a woman whose mother wanted to tell me their Stanley Park story, and to bring a tape recorder. With, I hate to admit in retrospect, more than a touch of skepticism, I met the sisters and their mother Olive where she lived in the Fraser Valley, and we talked and talked and talked some more. As I was finally leaving at the end of a very long afternoon, Olive put a floppy disc in my hand, on which she told me she had written her life story, just in case I still didn't believe her. "Now you are going to write the book, aren't you? "; I recall her telling me as I walked out the door. And I did write it after returning a big sheepishly to the several others who had shared Stanley Park stories and doing more imaginative research, including into legal records. The launch of Stanley Park's Secret in the Vancouver Museum brought together as many descendants as could attend, each of whom I thank this evening for making the book possible. Olive had sadly died, but knew the book would appear and would have, I know, taken special pleasure that it won that year's award for best book about Vancouver. As with Portuguese Joe, Stanley Park's Secret has had consequences going well beyond anything we as authors anticipate. Robert Yelton, the son of the last woman to grow up at Brockton Point before families were evicted, determined on her death to erect a pole in her honour near her childhood home. Created jointly with Squamish, Tseil-waututh, and Musqueam carvers, the pole was raised at the entrance to Brockton Point's other totem poles on a 2009 summer day. I thank Rose, Robert, and the other carvers. The two consequence, as nudged on by Carey along with many other descendants, to whom I am tremendously grateful, have been Leaving Paradise: Indigenous Hawaiians in the Pacific Northwest, co-written with fellow historian Bruce McIntyre Watson, and French Canadians, Furs, and Indigenous Women incorporating Iroquois along with Canadiens from Quebec and men of mixed French and indigenous descent. Both books, as with the BC histories, are synthetic composites of multiple sources. "Those of us who think about the past have a double obligation. On the one hand, we need to respect the findings of our predecessors. On the other, we must not let ourselves be so persuaded as to fail to consider other possibilities. The Pacific Northwest [which is the geographical focus of both books] is a case in point. "My beginning point [in this book] is a long generation of French Canadians who, I argue, together with the indigenous women in their lives and then their descendants have shaped the Pacific Northwest as we know it today. Mostly born between 1790 and 1830, 1,240 [men] whose names survive were attracted by the region's first outsider economy, based in furs, up to 1858 when the last part of the Pacific Northwest acquired outside governance. I am honoured to receive the Basil Stuart-Stubbs Prize for Outstanding Scholarly Book on British Columbia, and want to thank everyone involved. Brenda, you have championed the prize from its beginnings in a truly remarkable way. Ingrid and Alan, your support has ensured that the prize will continue on a permanent basis, as all of us who have encountered Basil Stuart-Stubbs know that it must. I am not sure of the protocol respecting judges, but well aware of what a time consuming process it is, and thank the three judges on behalf of all of us. Much as with the Basil Stuart-Stubbs prize, French Canadians, Furs, and Indigenous Women in the Making of the Pacific Northwest was a collaborative effort. At UBC Press, Darcy Cullen and Ann Macklem were stalwarts in nudging the manuscript towards publication, Kerry Kilmartin outstanding in the book's promotion, Mellissa Pitts excellent in overall charge. I have had some remarkable supports along the way. The first is Bruce Watson, whose biographical data from his published Lives Lived West of the Divide was the basis for the 1,240 French Canadians I profile in the book. Thank you, Bruce. Second, I thank my husband, Roderick Barman, for his sustenance of the book and of myself at every turn. And, third, thank you, Rejean, for reminding me from time to time what is that French Canadians, Furs, and Indigenous Women is about. I have been asked why I wrote this book. I have two responses. The first is that I, quite literally, woke up one morning wondering why I had ignored French Canadians in my general history of British Columbia, The West beyond the West. Was it, I asked myself, because French Canadians played no role? Or had they been overlooked? I determined to find out. And so here we are today. The second response to the question of why I wrote this book is much more relevant to our being this afternoon in Basil Stuart-Stubbs' shadow in a library so closely associated with him. Basil and I talked several times about my other life, making it particularly appropriate for me to share it with you. French Canadians, Furs, and Indigenous Women and my earlier books exist for one very important, absolutely critical reason. I am first and foremost an archivist and professional librarian. It is those skills which make it possible for me to research and write as I have done over the years on oftentimes obscure topics. I am able to scour libraries and archives and to search out source material at the drop of a hat. My librarian and archival skills mean, as those of you who share them with me are very aware, we understand how knowledge is organized. We know as a matter of course where to go in order to find out what it is we want to know and then how, respectfully, to make the best use of what it is we find out. More than any of the academic degrees I possess, it is my understandings as a librarian and archivist that underpin by career as an academic and a writer. Not only that, as my husband has requested me to add, my expertise has spilled over onto his career as a historian of Brazil. Without that which I take for granted, he would not have written his prize-winning biography of the emperor of Brazil or that of his daughter, much less become the academic he has been at UBC, which includes his teaching for several years in the Archival Studies program. My husband's request caused me to think more generally about the spillover from my being a librarian and archivist. I realize on reflection that my expertise has markedly affected the quality of the dissertations of the two dozen doctoral students I have supervised and the 40 some others on whose committees I have sat, as well as the theses of the 65 some masters' students with whom I have been involved. Each of these 130 plus UBC graduate students, as well as those I have taught over the years, has benefitted from my counsel as a librarian and archivist. Knowing that many of you are probably asking yourself, if she claims to be a librarian and archivist, why is she is not one today? I want to take a few minutes in conclusion to explain the seeming contradiction. My story begins at Harvard, where I did a graduate degree in Russian and African Studies. I had the unparalleled opportunity to roam the seemingly endless stacks of the Widener Library, wondering as I did so why books, and thereby knowledge, were not where I intuitively expected them to be, but rather organized in such a peculiar way seemingly impossible to figure out. This seeming contradiction I took with me as I moved on in my life to working as a writer/journalist on Soviet foreign policy in London, moving a year later to Berkeley, California, for my husband to pursue a doctorate in Brazilian history, and then to Rio de Janeiro for his dissertation research. In Rio I was at loose ends until invited by a Brazilian archivist friend of ours to organize and catalogue under his mentorship the papers of a leading 19th-century Brazilian politician held by the Brazilian Historical and Geographical Institute and another set of papers in the National Archives, of which he was vice-director. Not knowing how to do this, I cajoled the library of the American Consulate to lend me a copy of Theodore Schellenberg's Modern Archives: Principles and Techniques (University of Chicago Press, 1956), which I literally memorized from cover to cover. My year and a half as a practicing archivist encouraged me to apply while we were still in Brazil for admission into the University of California Library School to do a graduate degree in archives management. Brazilian mails were very erratic at the time, which meant only the admission form arrived, which I promptly returned. The consequence was that only on our return just before classes began did I discover there was no archives program, but only courses in librarianship. It was in good part due to my memories of aimlessly wandering the Widener stacks that I went ahead and completed an MLS degree. I was invited into the doctoral program about the time my husband got a year's job at the State University of New York in Albany, where I did the original cataloguing of a large Brazilian Portuguese-language collection its library had just acquired. It was thereupon my budding career as an archivist/librarian imploded. On moving to Vancouver for my husband's job at UBC, I got myself credentialed as a professional librarian in British Columbia and sat in on a graduate course at UBC with the amazing George Piternick, but that was the end of the road. There were no jobs to be had as a part-time librarian, which I was due to two children at home, no doctoral program to continue on my interest as I would have at Berkeley, and no direction to head. So it was that half a dozen years later I enrolled to do a doctorate in Educational Studies at UBC, which at the time had a very exciting group of historians of education. My dissertation became my first book, Growing Up British in British Columbia: Boys in Private School which was also published by UBC Press. Shortly thereafter I joined Educational Studies as a faculty member, and it was from that very strong interdisciplinary base, grounded in my other life as an archivist and librarian, that I have taught, researched, and written. So it is that in acknowledging French Canadians, Furs, and Indigenous Women in the Making of the Pacific Northwest with its multifaceted research base interrogating a previously unknown topic, we honour the disciplines of archival and library studies that both made the book possible and grounded the life of Basil Stuart-Stubbs. Montreal and Kingston: McGill-Queen's University Press, 2016. Too often, scholars must do their best to distill the thoughts and narratives of the destitute, downtrodden, or the illiterate through the written accounts of those wielding power and privilege. Jean Barman, however, provides a telling account of the life of one man, Noel Annance (1792-1869), an Abenaki gentleman who was not only literate but left behind a rich assortment of documents from his own hand ranging from reports and letters to love notes. In the process, Barman provides a comprehensive account of the lived experience of an Indigenous man in a society where an increasingly paternalistic state structure imposed itself on the daily lives of Indigenous peoples. In Abenaki Daring: The Life and Writings of Noel Annance 1792-1862, Barman recounts the history of the fur trade in the Canadian west and north in the early nineteenth century and the origins of the eventual "Indian Act"; in pre-Confederation Canada by a close reading of the abundant documentary trail left behind by Annance. Annance's life and that of his parents and grandparents straddled the Conquest of New France, the American Revolution, the War of 1812, the Union of the two Canadas, and finally Canadian Confederation. Within this span, the Abenaki were transformed from essential allies of New France fighting the English in the Continental colonies - indeed, two of Annance's great-grandparents had been taken prisoner and fully adopted and integrated into Abenaki society -- to British allies against the new American Republic. Annance's life, as for the Abenaki generally, was one of great change, as Barman notes. "At his birth, they were still perceived as having utility; by the time of his death, they had been cast aside"; (p. 3). Abenaki Daring provides a much-needed account of a pivotal time in Abenaki - and Canadian - history as told through the exceptional writings of this early Indigenous author. The great-grandchild of captives taken from the English colonies and raised by the Abenaki, allies of New France, Annance was born in St. Francis (Saint-François-du-Lac), Lower Canada. As a young man he was sent to Dartmouth College in New Hampshire where it was thought his "white"; ancestry would give him a better chance of success, and where he was turned out as an educated and literate gentleman. Nevertheless, Barman concludes, he was still too "Indian"; both for advancement in the fur trade and for the settlers of nineteenth century Canada. Barman traces Annance's life not only through time, but also across the continent. He signed up with the North West Company (NWC) in 1818 and, after the fusion of the NWC with the Hudson's Bay Company (HBC), continued as a clerk. He was stationed on the Pacific coast from 1824-1833 while working for the HBC; helped choose the site of Fort Langley, where he worked as an HBC officer; and gave his name (in a corrupted form) to Annacis Island in the south arm of the Fraser River at what is now Delta. Annance was not the only Abenaki to have ventured this far west, but Annance provided a substantive written legacy that permits Barman's captivating telling of his transcontinental story. Barman builds upon two primary sources discovered by the fur trade scholar Morag Maclachlan: an 1824 manuscript journal from his reconnaissance of the lower Fraser River, which resulted in the establishment of Fort Langley three years later, and some "love notes"; that Annance penned a decade later while working for the HBC. Altogether, Annance left behind a trove of letters and other documents that provide a detailed first-hand account of a life from an Indigenous perspective in the early nineteenth century. The documents provide a decades-long account of Annance's lifelong challenge to be respected as a gentleman, a title that his rich education should have afforded him, while remaining true to this Abenaki identity. As Barman writes: "Noel Annance was one of the tiny number of Indigenous peoples across North America with the means to speak back to the dominant society on its own terms"; (p. 7). Barman asserts that Annance's life provides a telling account of the structural forces that would crush the aspirations of even the most ambitious Indigenous risk-takers, even those with European ancestry and advanced education. Barman provides a compelling and personal history of Annance's life from his prestigious future ivy-league college, to his role as a British officer in the War of 1812, to his journey to the North West and Pacific coast with the NWC and HBC, to his career in the thriving fur trade, and finally back to his home community where he lobbied tirelessly to ensure that his rights and those of his Abenaki kin would not be forsaken. However, being a gentleman who could cite classic Greek and Latin texts was not sufficient. He was pushed aside in the fur trade outposts, and later in his life he was continually passed over in his desire to become a teacher in his community. He faced candidates who had none of his qualifications yet benefited from not being Indigenous. Barman's account thus exposes decades of structural inequalities even prior to the 1876 Indian Act, which stood in the way of exceptional Indigenous individuals who dared to seek to integrate and ingratiate themselves into the increasingly dominant settler society. Abenaki traditional territory covered what is now northern New England and southern Québec. As allies of the French, the Abenaki were granted a concession of land reserving for their use the St. Francis (Saint-François) Mission located at the mouth of the Saint-François river were it meets the St. Lawrence. Between the French and English, and later the British and American, forces the Abenaki did their best to survive the turbulent years before the conquest of New France and its transfer to British sovereignty with the Treaty of Paris in 1763. While French and English (British) battled, the Abenaki had taken a number of captives. Though most were eventually released and returned to their home communities, some did stay and become "white Indians. "; As Barman notes, at most 52 of the captured New England prisoners integrated fully into their new Indigenous communities, and 38 of these had been children and adolescents under the age of sixteen. Two of Noel Annance's ancestors, Samuel Gill and Rosalie James, had been among these 38 captives (p. 23). The Abenaki at St. Francis were decimated in October 1759 by the Rogers's Rangers, a company of the British militia, which attacked the town, killed some 200 Abenaki, and burnt most of the houses to the ground. The Abenaki population, which had numbered some 1,000, was reduced to 400 in the war. Having barely survived earlier colonial wars, but still hoping to maintain their lands, the Abenaki were forced to play the British and the colonial Americans against each other as the thirteen continental British colonies sought their independence. One of Annance's great-uncles, Joseph-Louis Gill, first sided with the Americans, being given the rank of major in the continental army, then changed sides when it became clear that the British would hold onto the lands of St. Francis (p. 36). Seventeen Abenaki heads of household -- all descendants of the two New England captives - were granted 8,900 acres in 1805 for the services they had rendered to the British during the war. One of them was Francis Joseph Annance, Noel's father. Born at the end of a turbulent century, Noel Annance would be raised with stories of captivity as well as the knowledge that lands had been granted in Durham Township. The other family legacy, which Noel received, was his education at Dartmouth College. Dartmouth had begun as Moor's Indian Charity School to train First Nations children to be missionaries. Following fundraising in Scotland, England, and in the colonies, a charter for the school was granted in 1769 and Moor's was renamed Dartmouth. It began to train local settler children and thus became the tenth oldest North America's postsecondary institution (p. 43). Noel Annance's father attended Moor's and then Dartmouth, completing three years before returning home to Canada as conflict grew prior to the American Revolution. In 1808, following his older brother Louis, Noel also went to Moor's and in 1810 was admitted to Dartmouth College (pp. 55-62). Barman notes that Noel was "among a very small number of Indigenous persons across North America, earlier in time or in his generation, given the opportunity to access literacy's promise"; (p. 67). However, he was taught more than to read; he was taught to be a gentleman, one of the elite. He stayed until 1813, when the War of 1812 was beginning to truly rage. From there he would join the British forces. During the War of 1812, Noel Annance served as an interpreter and was quickly promoted to Lieutenant. This would be the last continental war in which First Nations would serve as allies. Annance distinguished himself in the Battle of Chateauguay and, as a decorated war veteran, was promoted to captain the next year (pp. 82-84). Having achieved the rank of military officer and gentleman, Annance expected to rise in society and to this end he entered the NWC's Montreal-based commercial empire as a clerk. The NWC, and then the HBC, should have provided certain advantages to Annance not available in the British settler colonies. Citing John Milloy, Barman asserts that the British "colonies had no natural place for the Indian, no inclination to mix the blood of the races, no need for Indian labour and no undeniable compulsion to civilize him"; (p. 91). However, as Barman notes, "Noel may not initially have fully realized that the trappings of a gentleman did not, if one was perceived as Indigenous, a gentleman make"; (p. 63). Though Annance strove for inclusion in the HBC after 1821, in fact he was excluded -- if not actively then certainly passively. The hierarchical HBC was truly the forerunner of Canada's vertical mosaic. At the top were the London shareholders to which none of the employees could ever aspire. At the top of the North America apex was governor Sir George Simpson, below whom were the chief factors, chief traders, and clerks, who were almost exclusively Scottish with some Irish and English mixed in. All had to be capable of writing in English since maintaining the fort journals and business correspondence was the task of this company officer elite. Below them, HBC employees comprised of the [French-] Canadians, the "country born"; or "English half-breeds,"; and below them the Métis or "French half-breeds,"; and farther down were the Indigenous peoples. Thus Annance did not fit easily into the established racial hierarchy. Unlike the Canadians and the "half-breeds"; he was an educated and literate gentleman, but he was still an outsider. Annance, F.N. About 40 Years of Age. 13 Years in the Service. A half breed of the Abiniki Tribe near Quebec; well Educated & has been a Schoolmaster. Is firm with Indians, speaks several of their Languages, walks well, is a good Shot and qualified to lead the life of an Indian whose disposition he possesses to a great degree. Is not worthy of belief even upon Oath and altogether a bad character altho' a useful Man. Can have no prospects of advancement (p. 116). Annance certainly fell victim to the race consciousness which entrenched itself in the HBC in the 1820s under Simpson, when any Indigenous ancestry disqualified any clerk from upward mobility. His career stalled. While his peers rose up in the ranks, earning more money and receiving shares in the company, Annance remained a clerk and by all accounts became embittered. Frustrated that his potential was stifled by the rigidity of the HBC hierarchy, Annance had a liaison with the "country wife"; of the much older John Stuart when both were stationed at Fort Simpson on the Mackenzie River. It is here that Annance wrote a series of "love notes"; preserved by Stuart. Though Annance had had a country wife, a Flathead woman, they had parted ways before his arrival in Fort Simpson. There, if his notes are a true indicator of his emotions, he was smitten by Stuart's country wife, Mary Taylor. Though Stuart outranked Annance, Annance outclassed him in education. Annance could speak Greek and Latin, while Stuart could not even distinguish these from "Abonakee"; (p. 130). The younger and more refined Annance outshone the older, less refined -- but Scottish -- Stuart. The affair however came to a head when Mary Taylor turned over to Stuart all the notes that Annance had proffered her. The final note ended with these words: "I shall always remember with sorrow and tears those places which saw us once happy. Farewell, may you enjoy that happiness which you have refused me"; (p. 143). The relationship made public, Annance as a gentleman apologized to Stuart. The latter wrote to George Simpson who, however, disliked Stuart perhaps even more than Annance and informed Stuart on July 4, 1834 that his "private or family broils"; were of no concern to him or the company. Similarly, the following month, Chief Factor John Hargrave characterized the events that had transpired at Fort Simpson as "the acts of two worthless & degraded fools"; (p. 147). By the end of 1834, Annance had left the HBC and was back in St. Francis living as an Abenaki person. At St. Francis until his death in 1869, Noel Annance witnessed the rise of the bureaucracy which would (mis-)manage the lives of Indigenous peoples. His letters from these years testify to the growing power of the state and the conflict that divided the Abenaki community as well from within. For decades he carried on a correspondence with the Department of Indian Affairs. He even sought to be enfranchised to be finally rid of the legal "Indian status"; of a "minor,"; and to sever his dependence on the Indian Agent, by which all the Indigenous peoples were weighed down. He was unsuccessful, and the growing bureaucracy of dependence culminated in the eventual Indian Act of 1876. In an era where race increasingly could not be escaped, the descendants of Samuel Gill and Rosalie James splintered. One part of the family became "white,"; which is to say they became the "[French-]canadian part of the tribe"; (p. 173). They were French-speaking and Catholic, fully integrated into the surrounding [French-]Canadian society. However, they were more than willing to exploit traditional Abenaki resources, notably the woodlots, to their advantage. However, tensions also divided Noel Annance and other cousins such as Peter Paul Osunkhirhine, author of Metaphysical Inquiry Deducing many Self-evident Truths from the Very Nature of Things of what God's Nature and Will Require (Montreal: 1857). Annance effectively sought to relocate Peter from the small school where he was teaching and receiving a missionary stipend to the distant Northwest, thus leaving Noel free to take over the position he vacated. Hearing of this, Osunkhirhine sent a letter in turn to his sponsors in Boston charging that Annance was "unfortunately a man of no religion"; (p. 172). Annance then sought out financial opportunities, such as proposing a translation of Biblical texts into the Abenaki language. He also unsuccessfully vied for years to be the teacher in newly established government schools. However, much as had been the case when he was an HBC employee, his advancement was frustrated and his aspirations blocked by structural forces beyond his control. Thus, the village priest recommended teachers who were less qualified and who, to Annance's dismay, were hired instead of him. Noel Annance's story provides a telling account of the growing power of the Department of Indian Affairs and the legislation that would lead to the Indian Act. Already, prior to Confederation, legislation was being passed to set up reserves, define Indian status, and set forward legislation to "civilize"; the two Canadian colonies. Thus, Annance not only bore witness to the emergence of a racialized social hierarchy in the fur trade, but also to the growing power of the nascent Canada over Indigenous individuals. From the 1830s onwards, First Nations individuals were caught in a bureaucratic web in which any power they had over their lives and communities would be eroded. In this climate, Annance would bear the frustration of not being able to teach and shape the next generation. As Barman writes: "His seeking to pass literacy's promise on to the next generation in his home community so they might dare literacy's promise in their lives, as he had done, came to naught"; (p. 197). Canada's First Nations communities have been living the consequences of this for over 150 years. In Abenaki Daring, Barman provides a thorough and vivid picture of one individual and one family whose travails provide an insightful look into Canada's forgotten nineteenth history. While no painting or photograph of Annance is known to exist, his life can be assembled with clarity through the documentary record he left behind. As Barman shows, his career testifies to the structural forces that ensured the marginalization and thwarted the career of a gifted and educated First Nations man who had shown exceptional promise. If the dreams of Noel Annance were crushed, it should come to no surprise that the weight of systemic social forces could bear down on larger communities, thus ensuring their marginalization for generations. Annance's "Abenaki daring"; was sadly no match for the unsparing bureaucratic colonial regime which sought to regulate the "Indians"; until, as successive generations of European and Canadian legislators expected, they were no more. Dr. Michel Bouchard is Professor of Anthropology at the University of Northern British Columbia. His research has examined issues of identity and ethnicity both past (medieval Russia and Europe) and present (North America, Estonia, and Russia). He has explored the origins of the word "nation"; in Western Europe and the equivalent word in Russian, examined how nationhood was tied to religion in Europe, and challenged assumptions that nations are modern. Closer to home, he has researched the buried history of the Canadien, Métis and other French-speakers who ventured and settled across the continent and challenged national narratives that marginalize the history of French-speakers on both sides of the 49th parallel. With Robert Foxcurran and Sébastien Malette, he co-authored Songs Upon the Rivers: The Buried History of the French-Speaking Canadiens and Métis from the Great Lakes and the Mississippi across to the Pacific (Baraka Books, 2016).